Fungi of the West Village . . .
Spring had begun only on the calendar the first time I set out to write an essay for Wildflowers of the West Village in March, 2010. The first subject I found and wrote about at length was not a flower at all, but a fungus. 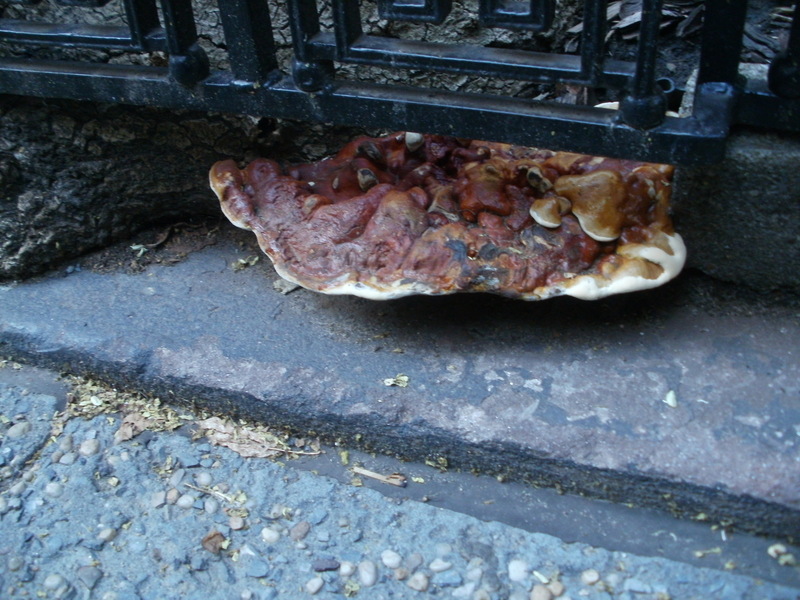 The shelf fungi, members of the genus Ganoderma, provided a pun for the title – “’Conked’ on the Head” – as the fruiting brackets are formally known as conks. Since that time I have encountered several other varieties of fungi, which are a distinct Kingdom alongside the Animal, Plant, and Bacteria. Wet weather, like the arrival of Hurricane Irene to the New York region, often brings on the quick appearance of these fleshy, often colorful, organisms. A lawn or a bare patch of soil beneath a tree can provide the stage for another kind of wild flowering . . . This is the metaphorical bloom that started it all at Wildflowers of the West Village. The fleshy brackets, called conks, grow on tree stumps and other downed wood. This example was photographed on West 13th Street. The genus Ganoderma was named in 1881 by the Finnish mycologist Petter Adolf Karsten. The family name is Ganodermaceae. The species pictured here is Ganoderma lucidem, the Lingzhi Mushroom: an Asian immigrant, harvested for its medicinal properties, which now has a cosmopolitan (global) distribution. 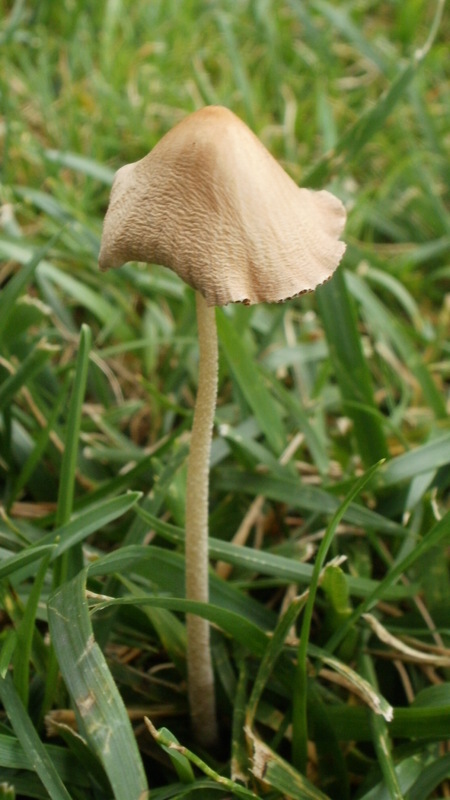 A delicate, fragile, small fry of a gilled mushroom, the White Dunce Cap is the pale little lawn decoration one often finds on dewy summer mornings. The one pictured here was photographed within the grass of Hudson River Park. 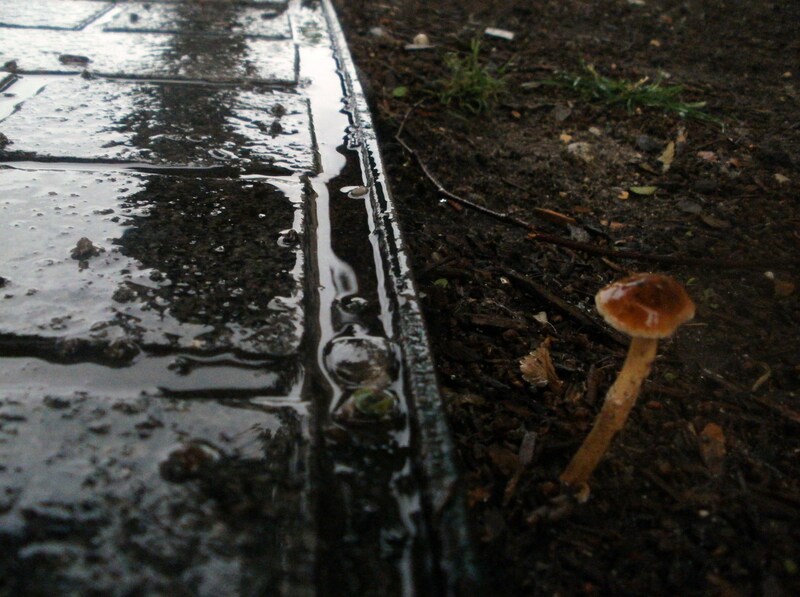 The quintessential urban mushroom identified by its scaly cap. This species grows in waste places where sawdust, wood, or mulch is available. The trio shown above was found nestled in a quiet composted corner of a West Village apartment building’s landscaping. 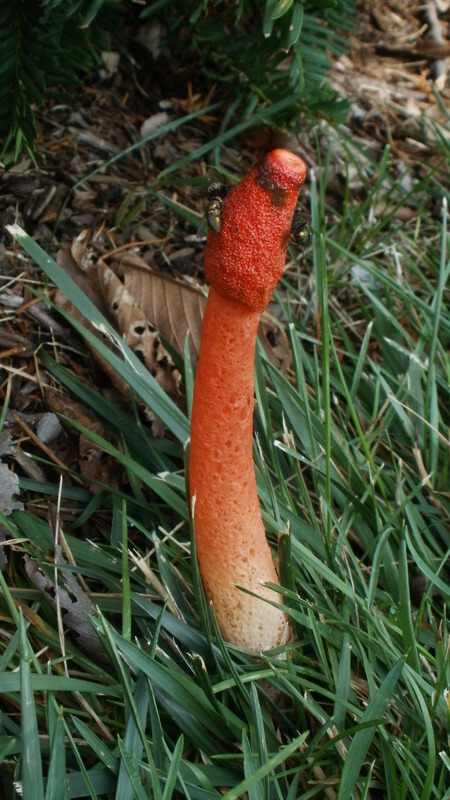 The most phallic of fungi, the Elegant Stinkhorn lives up to its odiferous nomenclature. This photo proves that scent is an essential component of its existence, as it draws flies in droves. Often found in loose groups on damp lawns. Very colorful, its “elegant” orange appearance cultivates a bloom of sorts, although one best viewed from a distance, or with nose pinched. The singular example illustrated, which stood six inches in height, actually grew with several others beside a yew bush in Hudson River Park. 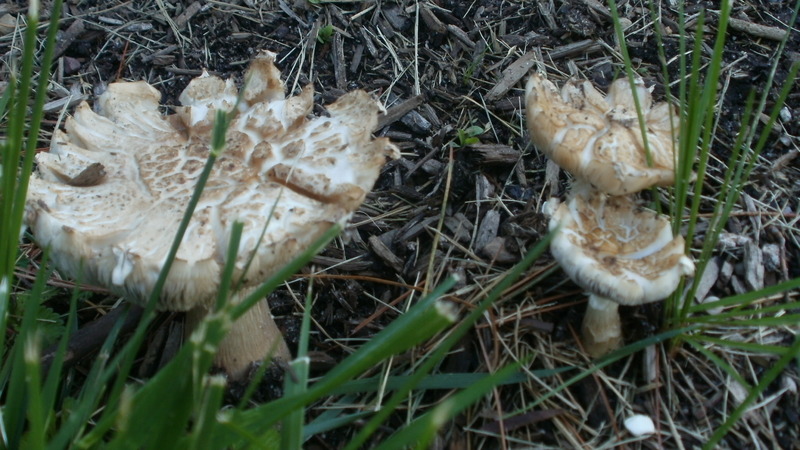 Now that Hurricane Irene has passed over Manhattan, there should be a bloom of fungi species to see, and sometimes smell, over the next few days. In fact, just after Hudson River Park was closed to prepare for a predicted storm surge, I found this lone example already rising from the soaked loam of a liittle park beside the West Side Highway . . .